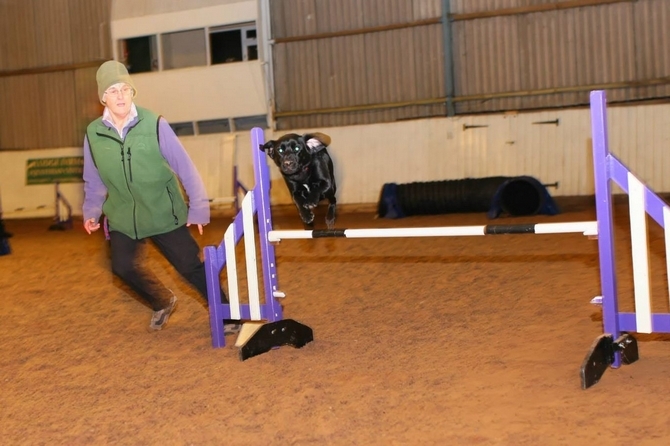 Dog Agility at Lodge Farm, Wetley Rocks, Staffordshire. 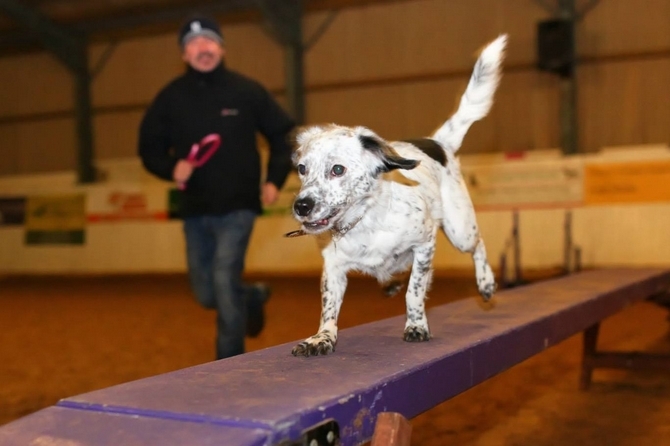 Dog agility at Lodge Farm Wetley Rocks. Super indoor school with good clean surface. A fun hour with your dog each Monday evening. Classes for beginners, and more experienced dogs. In class you will learn obstacle training and how to direct your dog around a course using kind positive reinforcement methods. It's good for improving your handling skills. 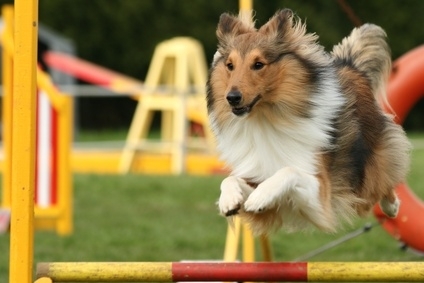 All dogs must be at least 12 months old before starting agility. Suitable for those who don't wish to compete but want to have fun with their dog. All welcome to come and watch a class before booking. 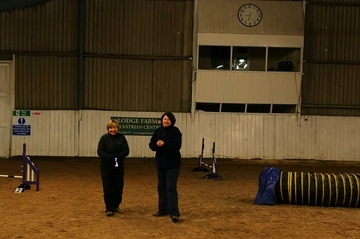 "First beginners course £30, all other course are £38"
Heres me and Gill before a class.